Legislators are hoping to empower home caregivers by requiring hospitals to provide instruction on caring for discharged patients once they reach their homes, where family members are often left unprepared to administer medicine. According to AARP, 770,000 Marylanders are caring for an aging parent or loved one. “We’re talking about the person, the friend, the neighbor. 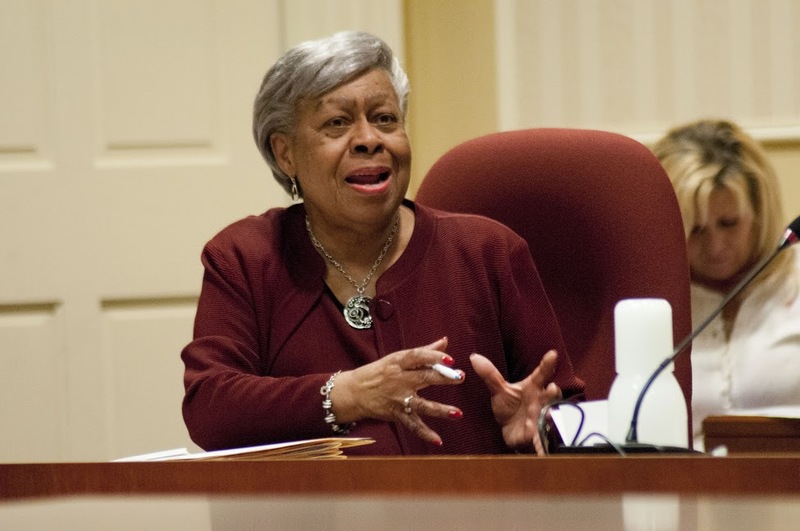 Who is all the patient has in most cases,” bill sponsor Sen. Delores Kelley, D-Baltimore County, told the Senate Finance committee Thursday. Under SB 572, the hospital would have to identify who the designated a caregiver was upon admission of a patient to the hospital, then notify that caregiver upon the release of the patient. Opposing the bill are hospitals who argue it will create a larger administrative burden on hospital staff who are already working with caregivers to set up care after discharge. The bill would require hospitals to ensure the caregiver would receive proper instruction on how to care for that patient and given contact information on community services that could assist them. Greenberg believes that the bill will establish a unified standard hospitals would rally behind, because it could also cut Medicaid costs. If Medicaid patients are readmitted to hospitals due to lack of effective care, hospitals will be covering repetitive costs. “Readmissions has been a big problem and we believe this will alleviate some of those problems,” Greenberg said. Kelley understands that hospitals are in most cases trying to provide as much care as possible, but she hopes the bill will help physicians navigate through the discharge process. “What is missing is that hospitals don’t find out systematically who the caregivers are. This bill would give the hospital several opportunities to find out who the designated caregiver is going to be,” said Kelley. Maryland ranked 33 in the June, 2014 “Support for Family Caregivers” category as listed on the AARP, Commonwealth Fund and SCAN Foundation’s state-by-state scorecard. In 2012, a national survey conducted by AARP found 46% of family caregivers performed medical and nursing tasks for care recipients. The survey showed caregivers received little or no training to perform the medical tasks. However, hospitals are concerned that the bill will create more burdens and repetitive procedures. “This bill would only serve to add additional administrative burden,” said Amy Deutschendorf, vice president for care coordination at John Hopkins Medicine. John Hopkins supports the intent of the bill, but claims they already have “enormous structures” in place providing programs for released patients and families. “We do a risk screen on every patient, we are asking everyday ‘do you have help at home?’” said Deutschendorf. Jennifer Witten, director of governmental policy and advocacy at the Maryland Hospital Association, seconded the remarks of John Hopkins. “There definitely are issues that we need to address, but they are in a much broader scope,” said Witten. Sen. Kelley said the bill establishes statewide standards. Kelley added that the bill will empower hospitals to “have the right to ask” about caregivers, if patients do indeed have someone at home. The bill is an initiative of AARP, which developed the “Caregiver Advise, Record, Enable (CARE) Act” to support family caregivers. New Jersey and Oklahoma have enacted the CARE Act, while Hawaii established a task force to explore it. Legislation is under consideration in several other states, including West Virginia. The Democratic candidates for the seat in the redrawn 6th Congressional District took part in a two-hour debate Sunday sponsored by AARP Maryland and MarylandReporter.com. The candidates answered questions on 12 different topics.